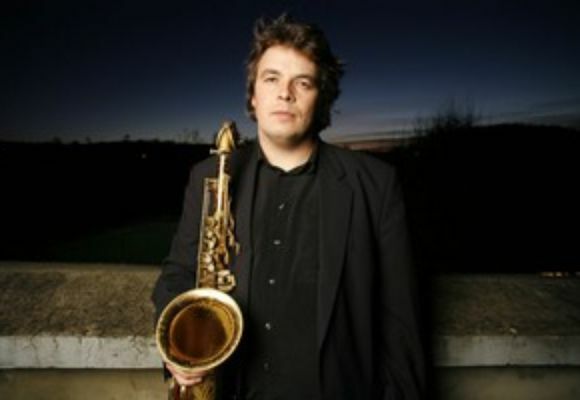 The Igor Lumpert Quartet "Smalls Showcase"
Born October 27, 1975, in Novo Mesto, Slovenia, Igor began his professional training at age 19 at the Bruckner Conservatory in Linz, Austria, where he studied with Doug Hammond and Harry Sokal. During this period, he was a member of Munich-based band Sidewinders, winner of the"Best Jazz Group of Germany" award. After completing his studies with honors, Igor was invited by one of the world's finest bassists, Reggie Workman, to study at the New School University in New York City. He received a scholarship and moved to New York in fall 2000. In New York Igor trained with some of the world's finest musicians-George Garzone, Reggie Workman, Buster Williams, Chico Hamilton, Billy Harper, and many others. In April 2002, Igor was selected for the New School All-Star Wayne Shorter Ensemble, which performed at the "Beacons In Jazz" award ceremony at the Supper club, where Mr. Shorter was honored. Igor has performed at jazz festivals in Munich, Ljubljana, Novi Sad, Cankarjev, and Dom Ljubljana; at major jazz clubs in New York including the Jazz Standard, Cornelia Street Cafe, Supper Club, and Birdland; and venues in Vienna, Munich, Linz, Zagreb, Beograd, Sarajevo, Novi Sad, Athens, Kreta,Venice, and Hungary.